BLUEBELL seeds (hyacinthoides non-scripta) from Wildflowers UK. English Bluebell -hyacinthoides non-scripta– will tolerate semi-shade or sun but looks best grown in shaded woodland settings where the rich blue colour will be more intense. 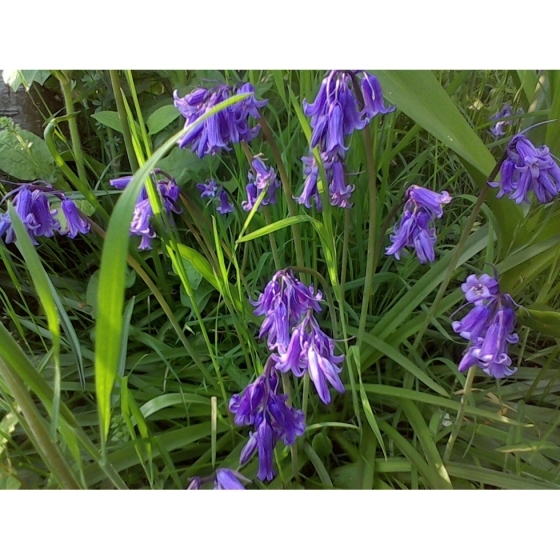 In the wild bluebells have a preference for acid soils and grow in a variety of habitats including woodlands, hedgerows, grassy banks and even alongside open coastal cliffs. In gardens, bluebells can be introduced under small trees, or on the north and east side of fences and hedges and also between the gaps of paving or paths. Unlike their Spanish counterparts, English Bluebells are highly scented and it is this scent that draws insects such as Bees, and Butterflies in April and May. English Bluebells look stunning when grown alongside Red Campion and Greater Stitchwort both of which have similar flowering times. 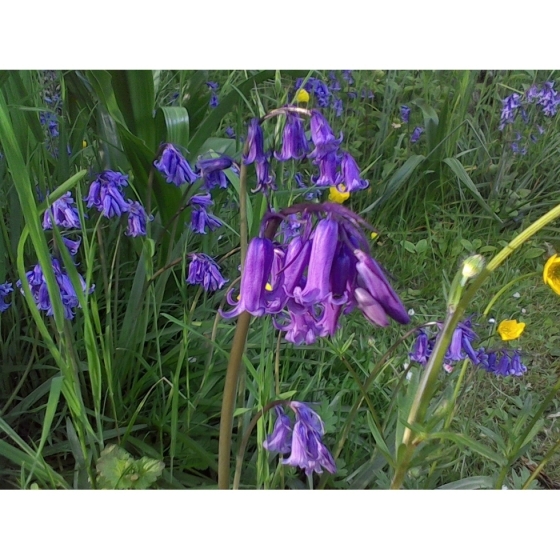 Alternative Names for Bluebells include Blue Bonnets, Bell Bottle, and Ring o’Bells. English Bluebell seeds should be sown in autumn or early winter , either outside, where they are to flower, or in seed trays and covered lightly with compost. English Bluebell seeds are usually easy to germinate and the seedlings, which are quick to develop, can be pricked out and grown on, for planting out later in the year. Seeds provide a cost effective way of planting up larger areas but will take several years to form flowering sized plants. For smaller areas and gardens it may be more appropriate to introduce Bluebells as bulbs which are available in autumn. 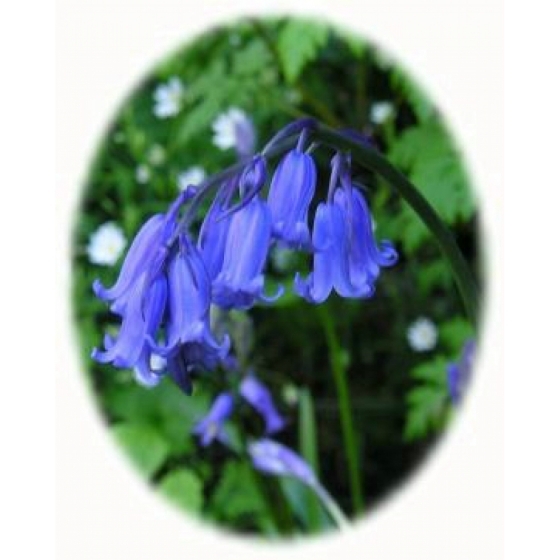 To purchase English Bluebell seeds please select a quantity above and click add to cart. To ensure the best chance of success, we sell all of our wildflower seeds by weight, which ensures each wildflower seed packet contains a good quantity of seeds. 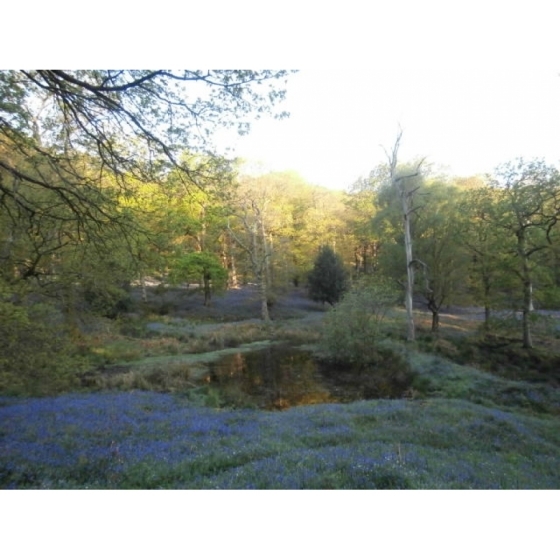 The recommended sowing rate is 1 gram per square metre, and the number of English Bluebell seeds per gram is approx. 200. All of our Wildflower seed packets contain seeds of Native British provenance.